Can I Deduct the Cost of a Non-Compete Agreement? A non-compete agreement (sometimes called an agreement not to compete) is an agreement between two parties in which one party compensates the other party for agreeing not to compete. This agreement can be a cost to a business, and this cost can be deducted in some circumstances. Non-compete agreements must adhere to state laws, and some states have ruled them not valid; check with your attorney before signing a non-compete agreement. There are two kinds of non-compete situations - employment agreements and business sales agreements. The non-compete can be a clause in a contract or a stand-alone agreement. One kind of non-compete agreement is signed by employees, who must agree that if they leave the company, they will not compete with their former employer for a specific length of time within a certain area. The other kind of non-compete agreement is signed by business owners who sell their businesses; they sign an agreement not to compete with the new owner for a certain length of time within a certain area. Both kinds of non-compete agreements come with a payment to the employee or business owner as fair compensation for the agreement not to make money competing with the former employer/new business owner. The intent of the payment is to make up for possible lost income for the person signing the agreement. In either type of non-compete agreement, the payment is considered a legitimate business expense. 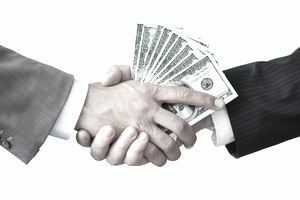 If you buy a company and pay the former owner $300,000 for his or her agreement not to compete, you can take this $300,000 as a business expense. The same is true if you compensate an employee for signing an agreement not to compete. Can the Non-Compete Agreement Cost be Taken in One Year? The question, though, is whether you can take the expense in one year or whether you must amortize it (spread it out) over several years. In a 2010 Tax Court case (T.C. Memo 2010-76 (pdf)), a company paid $400,000 to a former employee for a one-year covenant not to compete. The Tax Court ruled that even though the agreement was for one year, the non-compete agreement was an intangible as defined in Section 197 of the Internal Revenue Code, and it should be amortized over 15 years. The Tax Court's ruling cost the company a good deal of money in taxes owed and in fines and penalties because they couldn't take the expense in one year. This situation is another example of the benefit of hiring a good tax adviser for your business. Disclaimer: This article is presented for general information purposes only, and should not be relied upon as tax or legal advice. Every situation is different; consult with your tax advisor before making any decisions or taking any actions that can have tax implications. Can I Deduct My Mobile Phone Expenses?